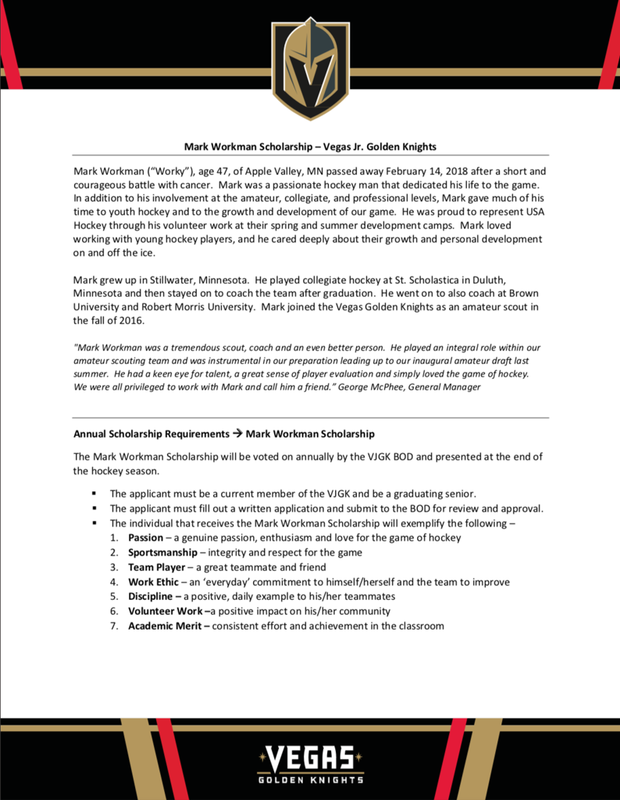 We are currently accepting applications for the Mark Workman Scholarship. The deadline for turning in completed application, essay and letters of reference is Monday, April 22 by 5:00 p.m. PST. The recipient of this scholarship will be announced on Monday, 5/20 by direct email and press release. 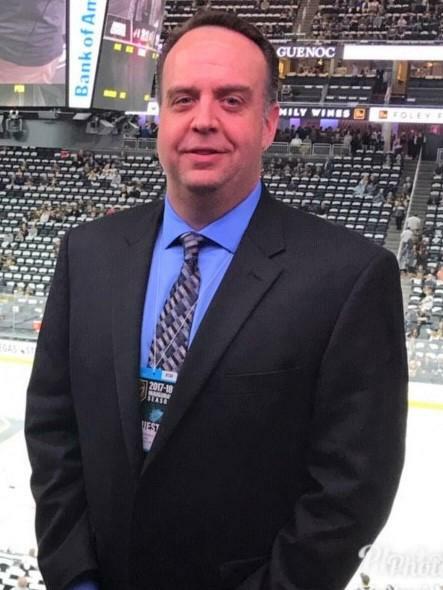 ©2019 Vegas Jr. Golden Knights / SportsEngine. All Rights Reserved.